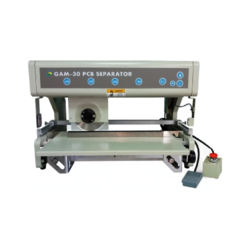 Offering you a complete choice of products which include pcb router machine and pcb separator. -Equipped with high-speed CCD vision alignment system in all series of products to enhance the precision in cutting and efficiency in operation. 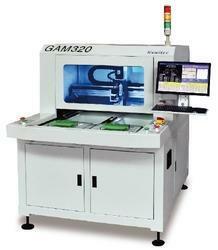 -Use high-speed spindle with small cutting stress to precisely cut PCB of any shape. -Provide dual worktables. While one is used for cutting, the other can be used for loading to enhance the efficiency of production. -Patented dust collector with low noise and high efficiency. Easy to clean and maintain. -Windows OS and window-based interface panel. Safe, stable, easy to learn and operate.